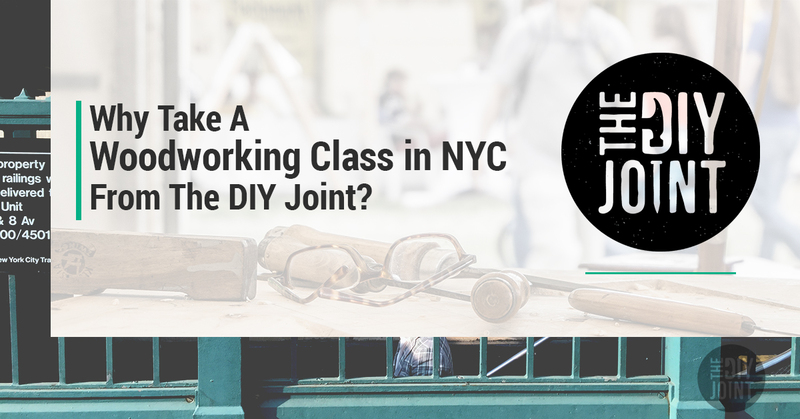 Why Take A Woodworking Class in NYC From The DIY Joint? To answer the question we posed in the title of this post, you should take an NYC woodworking class from The DIY Joint because you want to. There’s no other good reason than that. Even if someone gave you a free woodworking class (as a gift card), it’s safe to say we should all agree that there isn’t much point in going to one of our classes on furniture making or joinery if you aren’t interested in woodworking in the first place! That being said, many of our long-time students first came to The DIY Joint not because they woke up one day with an irresistible urge to craft wood, but because they heard about a place that is social, collaborative, and hands-on. People who don’t have an innate affinity for carpentry or woodworking are often attracted to the idea of beginning a new hobby — a hobby where they can use their hands and create something physical. You’ll find on our site that we say “it’s not about what you make, it’s about the satisfaction of doing it yourself. To add to that point, we believe that our modern day society has lost touch with a core part of who we are as humans. For thousands of years, prior to the last fifty years or so, nearly every person who walked the planet consistently used their hands as part of their daily lives. There’s no arguing that the age of the digitalization has contributed to a newfound pervasive slothfulness. And while it’s tough to blame people for taking advantage of having instant access to every single Breaking Bad episode in existence, The DIY Joint exists for people who want to do more than spend their life sitting on a couch with two or three screens in front of them. We are not passive. We are creators at heart. You may have noticed that sometimes we say “woodworking class NJ,” while other times saying “woodworking class NYC.” That’s because we are located in Hoboken, NJ, right next door to Brooklyn, so cut us some slack here. We just want people from all around to know about what we’ve got going on here at The DIY Joint! Below you’ll find a few new woodworking classes we’ve got lined up for this summer season. Be sure to sign up soon because availability is limited and spots are going quickly! This June, we are excited to announce that Master Craftsman Glen Guarino is offering one-on-one woodworking instruction for an industrial-sized lathe, where students will learn woodturning techniques. At the end of the workshop, students will turn their own bowl on the lathe. We are lucky enough to have Glen teach hand cut Dovetail joinery at The DIY Joint as well. While Dovetails can be intimidating, they are worth the consternation. If you are looking for a challenge, join Glen for this one-day joinery workshop on 6/10! View our complete woodworking class schedule here, and come see us soon!